Dogs have been known as ‘man’s best friend’ for decades, and there’s a good reason why – if you look after your dog, he will return the favor. Fiercely loyal and loving, dogs can lift your mood, cheer you up and give you something to live for. If you’re trying to improve your health and fitness, then who better to turn to for support than your loyal four-legged friend? Here’s how both you and your dog can get fit and improve your health together. Dogs are great pets for anybody who wants to get fitter, as they require regular walking! So, taking your dog on longer walks or even letting them run alongside you as you jog or cycle will not only improve your health and fitness levels, but will be great exercise for your puppy, too! There are many fun ways to work out with your dog. When it comes to improving your health and fitness, cutting down on treats is something that both you and your dog can benefit from. More people than we realize are killing their pets with kindness, by giving them too many treats and perhaps even foods that they don’t realize are bad for them. As a dog owner, it can be difficult not to give into their big sad eyes but remember that treats aren’t always good! 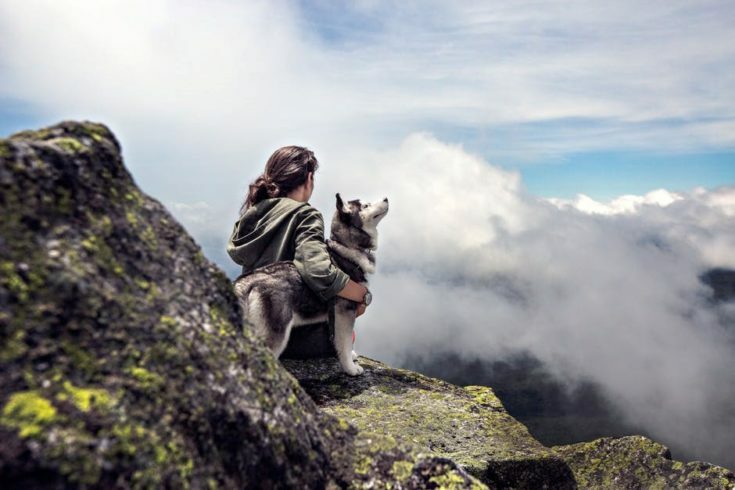 Dogs and humans may have different dietary requirements when it comes to what is good for them, but if you’re going on a fitness challenge with your pet, then it’s important to give them healthy, nutritious food as well. Whilst you should be eating leafy green vegetables, lean meats and other healthy sources of protein such as eggs, fish and legumes, you should ensure that your dog is eating healthy, safe food for pets that provides them with a balanced range of nutrition. Try Wapiti elk antler chews for a healthy treat. If you’ve decided that both you and your dog could do with shaping up a little, then staying hydrated has never been more important. Water is not only essential for humans to stay healthy and energized, it will also help to flush nasty toxins from your body, making it easier for you to improve your health, get fit and lose weight. If you’re doing a lot of exercise, you’ll need to drink more water to replace that which is lost through sweating. Don’t forget that it’s essential your dog also has access to fresh, clean water always, especially during the summer months when your pet will be in more danger of overheating. If either you or your pet is seriously overweight, then you should seek medical advice before taking on any new weight loss or fitness program. Your doctor will be able to advise you on the best course of action to take, whilst if you’re worried about your dog’s weight, your veterinarian will point you in the right direction. Is your dog your health and fitness buddy? We’d love to hear from you in the comments. Nice! Now this is good but the only problem is that my dog is kind of you know the wanderer, he just keeps getting destructed by food or anything that he finds interesting, kind of afraid to go out with him. but this is beautiful, i’ll try to train him, but just to be sure i think i need some accessories in case he will run away.